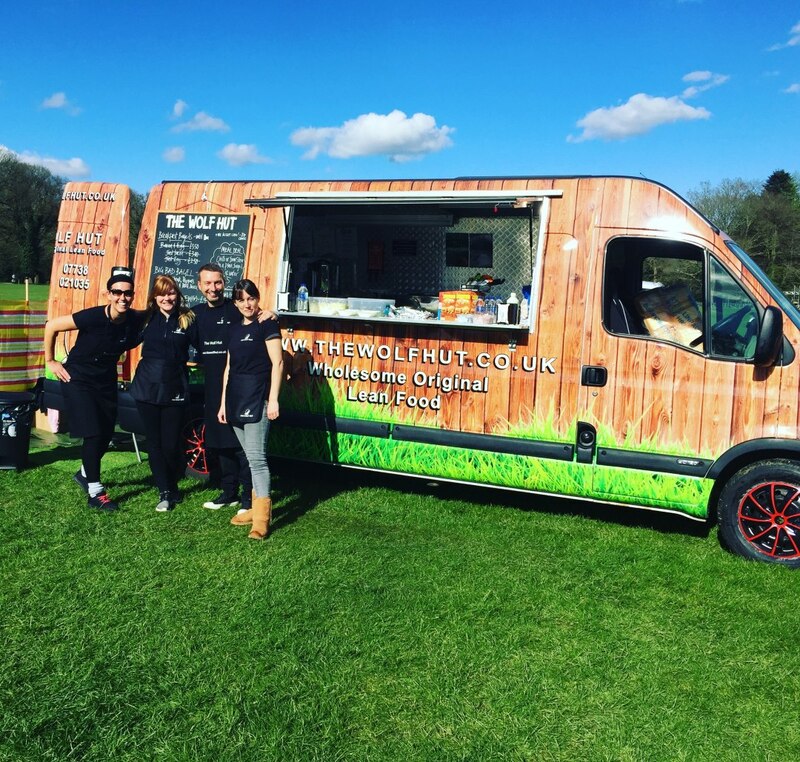 We serve healthy, hearty, lean food from a van. 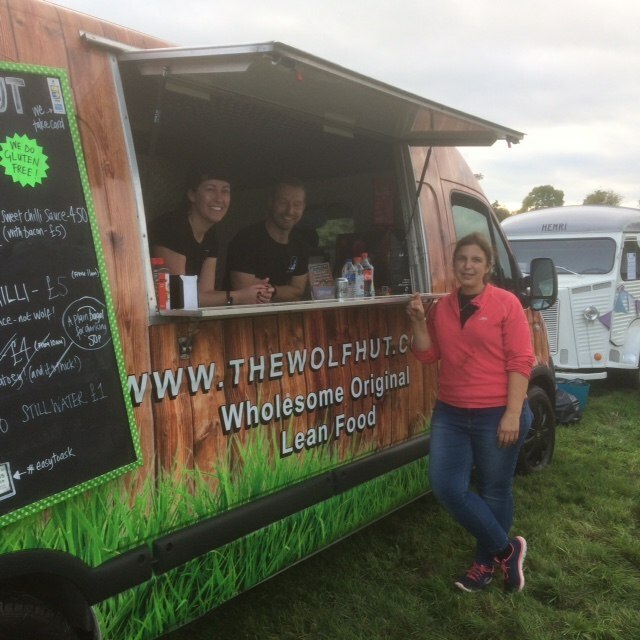 The Wolf Hut is perfect for sporting events (athletes love our lean food! ), corporate activities and private parties. 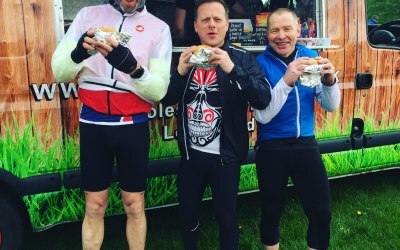 Our mission is to satisfy the stomachs and put smiles on the faces of visitors, spectators, athletes, guests and employees (everyone really) without expanding their waistline! 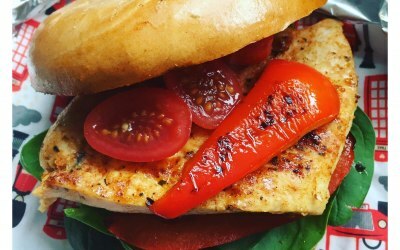 We don't count calories, we just cook up hearty delicious dishes using good fats and lean proteins. 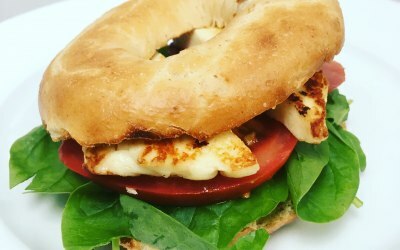 Our breakfast bagels are a real hit for a morning event and in the afternoon/evening we serve delicious and lean one pot dishes such as Lean Wolf Chilli (made with turkey mince not wolf), veggie curry, chicken & chorizo stew. 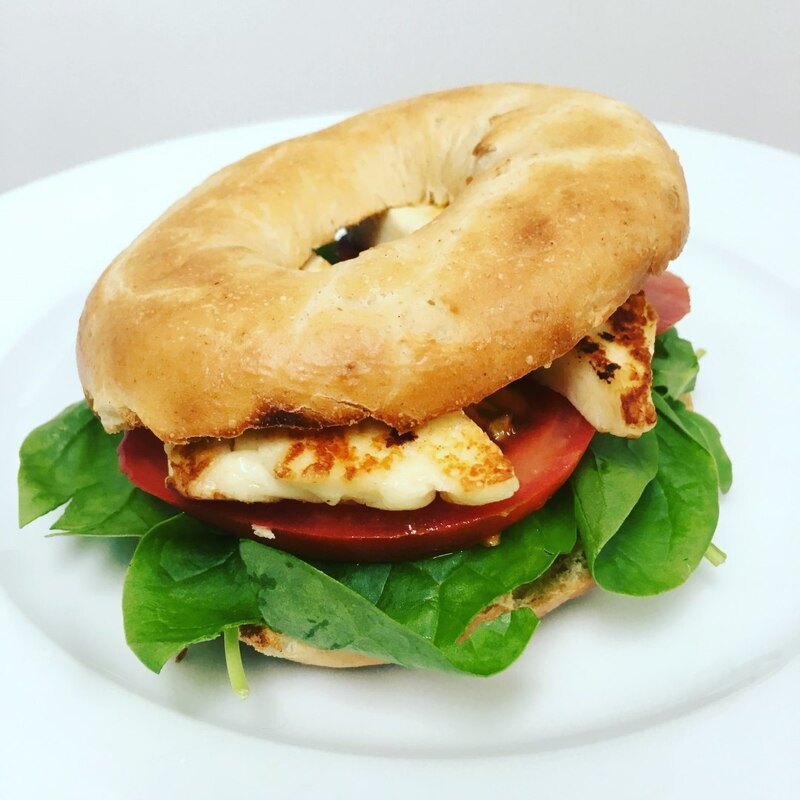 We also do a mean 'big bad bagel' which is turkey steak, spinach, roasted peppers and a dollop of bbq sauce. We are happy to discuss food options! 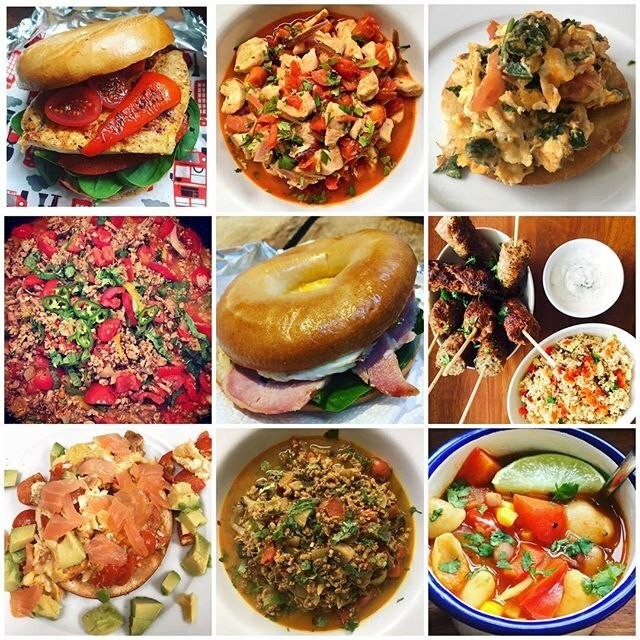 If you're into lean eating, you'll love what we do. 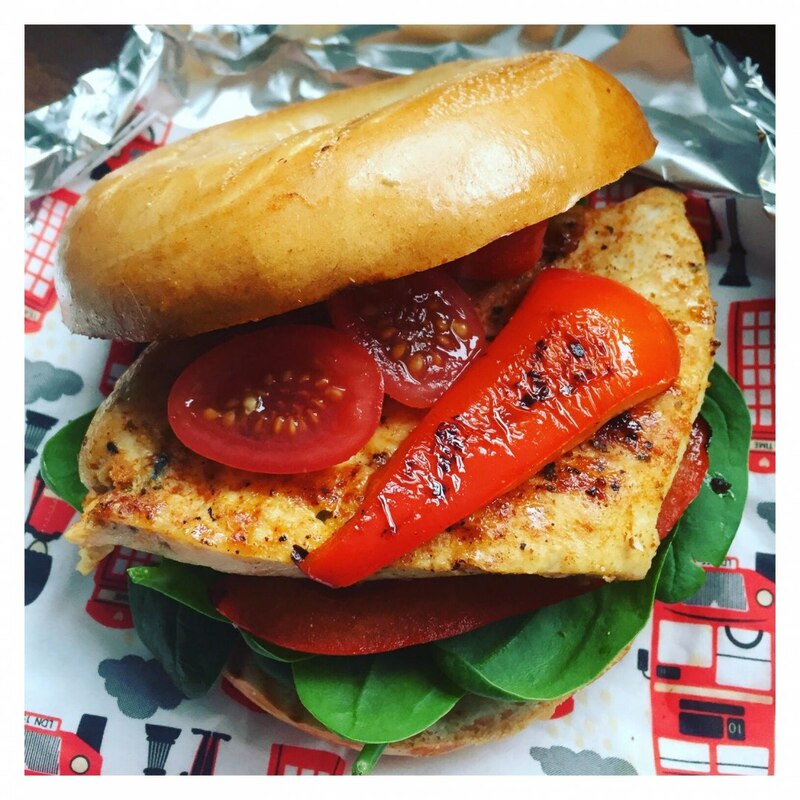 And if you're not interested in healthy food, we think you'll still love what we do! 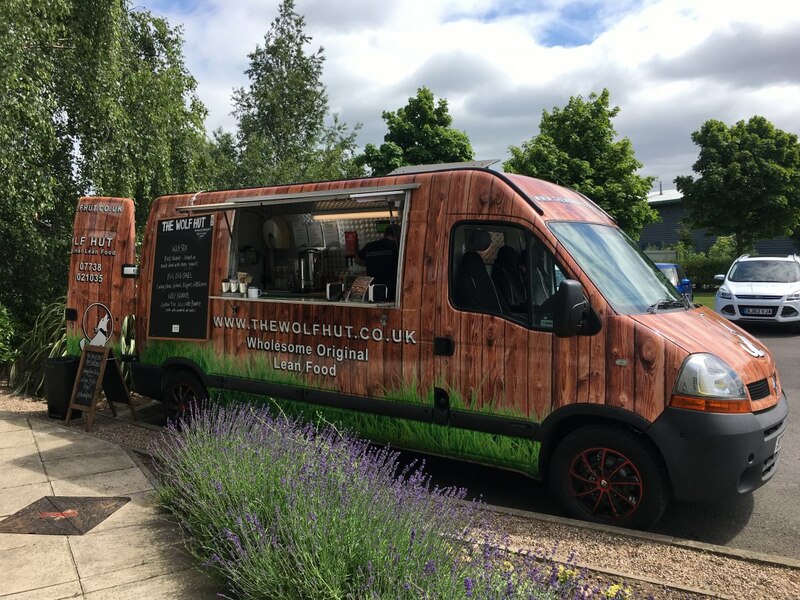 We are based in the Midlands, but happy to consider events across the UK. Total professionals! 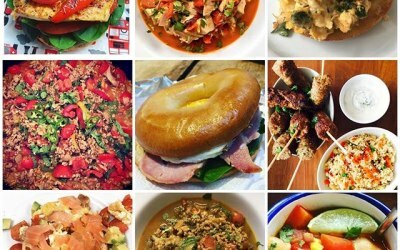 Food, service, faultless. 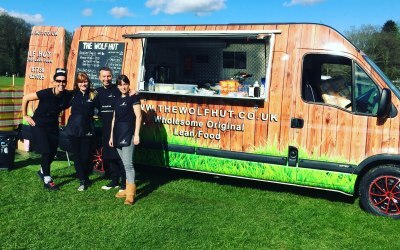 We booked the Wolf Hut to provide catering for a cyclo-cross event. 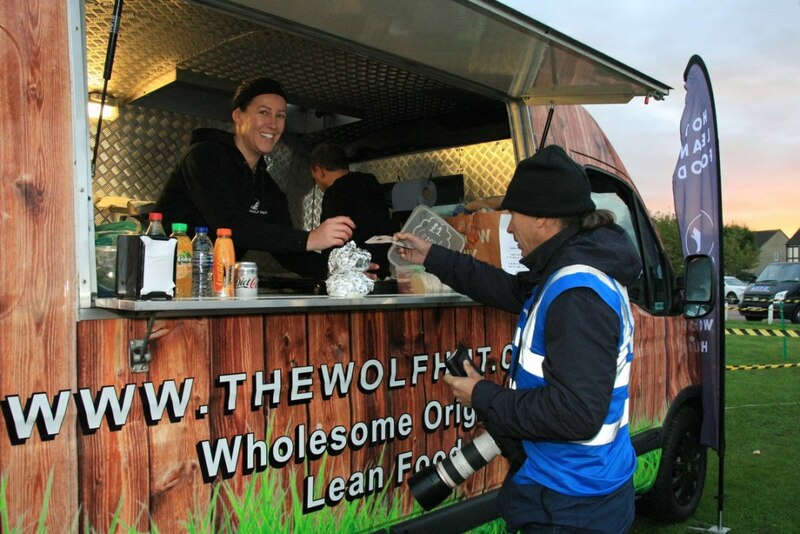 We needed healthy, but hearty food for the athletes and their many supporters... 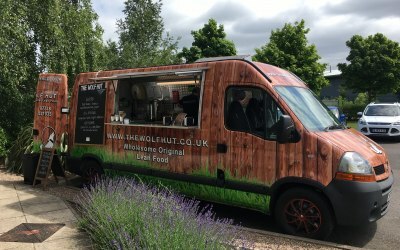 The Wolf Hut didn't disappoint. 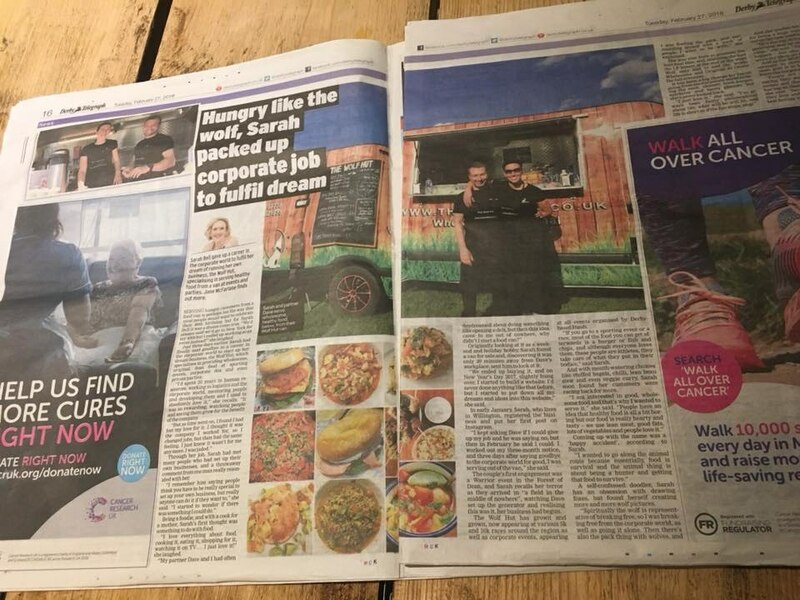 Sarah and Dave were brilliant to work with from the very first call. They put a superb menu together and also tweaked it slightly to suit our event, adding a delicious home-made soup. 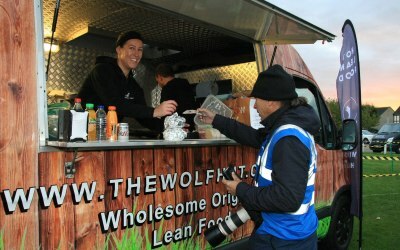 The offering went down a storm and got great feedback from customers and the organising team alike. 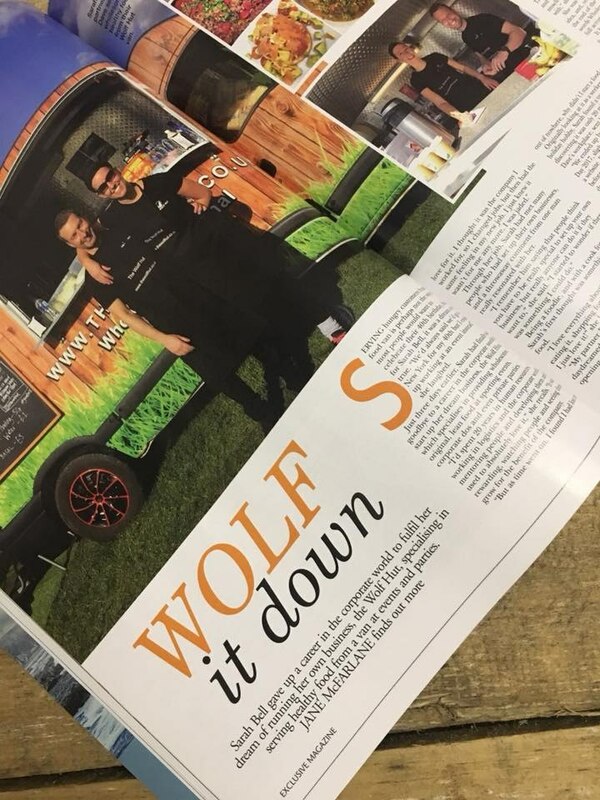 Importantly, the communications leading up to the event gave us total confidence that The Wolf Hut would deliver on every front and this was certainly the case on the day. 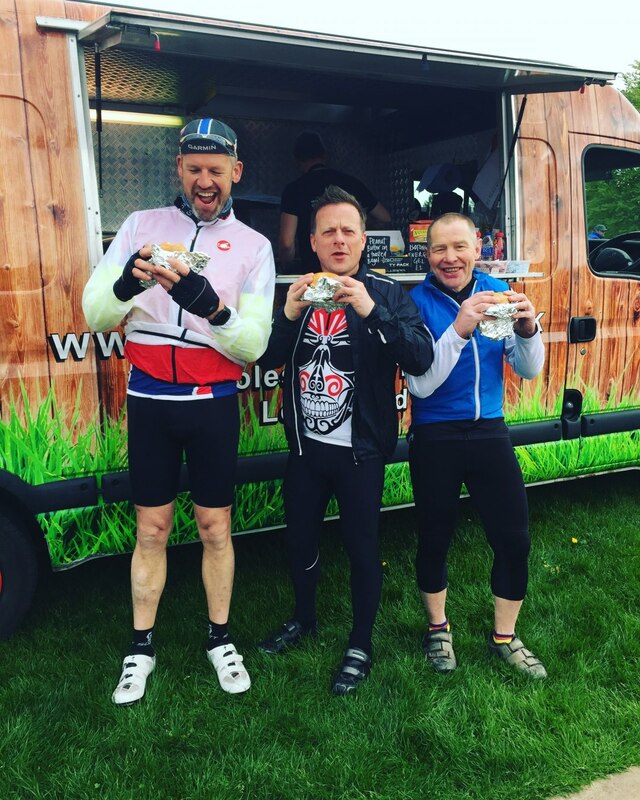 Strongly recommended and we hope to work with them again. 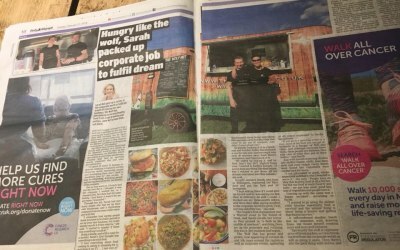 Great van, lovely food with very friendly people. Thinking of using again in the summertime. Thanks Denise! It was great working with you. 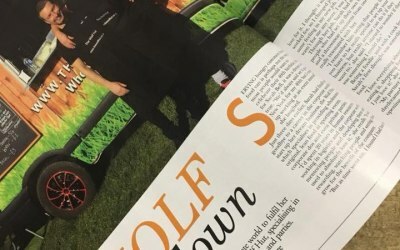 Get quotes from The Wolf Hut and others within hours.